Size Range 3" (75mm) and up. 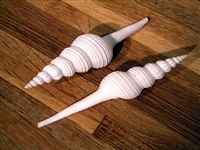 White Spindle Shell (Ea.) 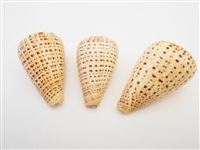 3-4"
Perfect for Beach Wedding and Nautical Home Decor. 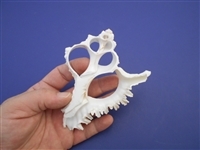 Great Ocean Crafts item. 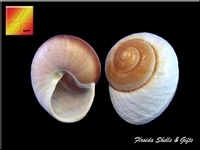 Muffin Snail Shells (ea.) 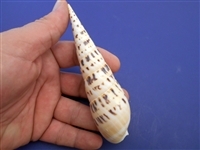 4"
Great for Beach Home Decor, Ocean Crafts and Hermit Crabs as a changing shell. 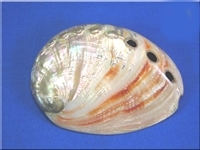 White Spindle Shell (Ea.) 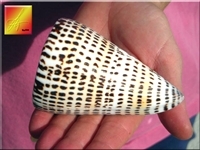 4-5"
Lightweight Seashell, perfect for Beach Crafts and Nautical Decor. 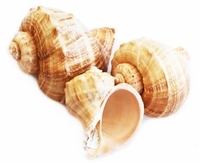 Great for Medium Sized Hermit Crabs. 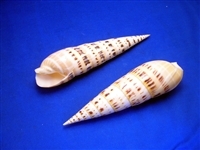 Size Range: 2 1/2" - 3"
Murex Ramosus Center Slice 3-4 1/2"
Size range: 3 - 4 1/2"
Conus Leopardus (Letter Cone) 3-4" ea. 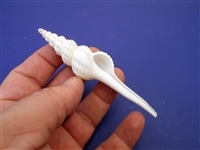 Murex Ramosus Center Slice 5-6"
Lightweight Seashell, perfect for Beach Crafts and Nautical Decor. 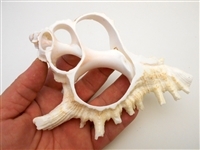 Great for Medium/Large Sized Hermit Crabs. 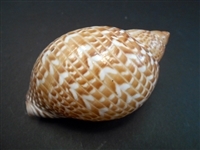 Very nice, lightweight Seashell. 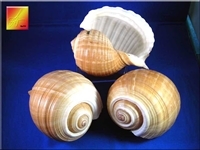 Perfect for Nautical Decorations, Planting, Table and Home Decor, Large Hermit Crabs. 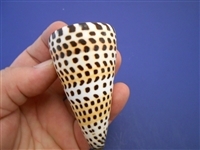 Conus Leopardus (Letter Cone) 4-5" ea. 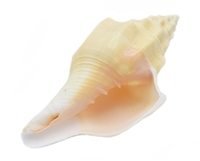 Lightweight Seashell, perfect for Beach Crafts and Nautical Decor. 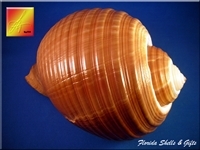 Great for Large Sized Hermit Crabs. 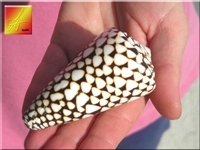 Unique, deep black shell. 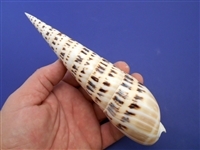 For Beach Cottage Decor and Nautical Crafts.